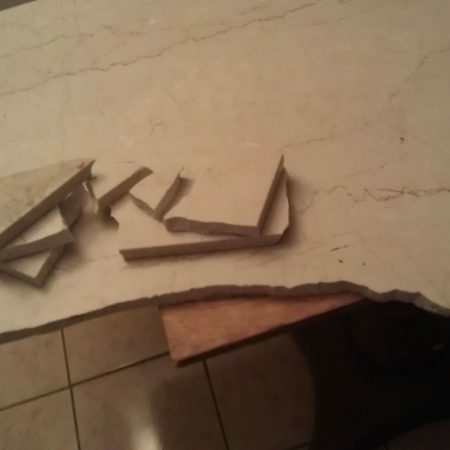 Have a Broken Table? 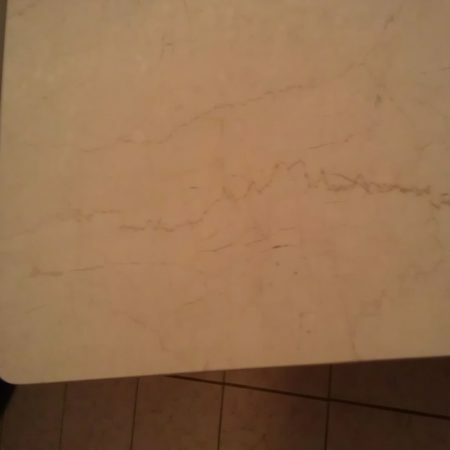 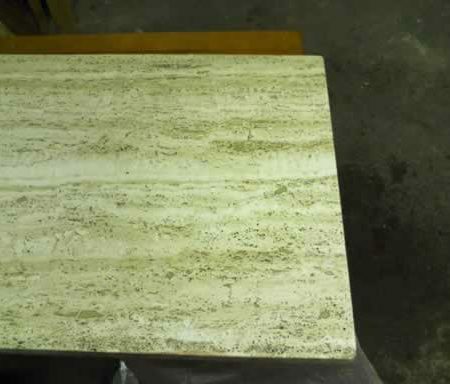 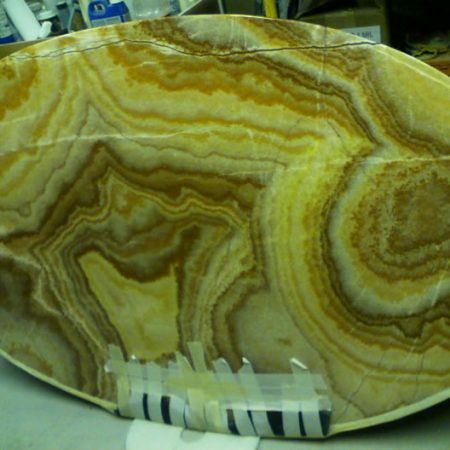 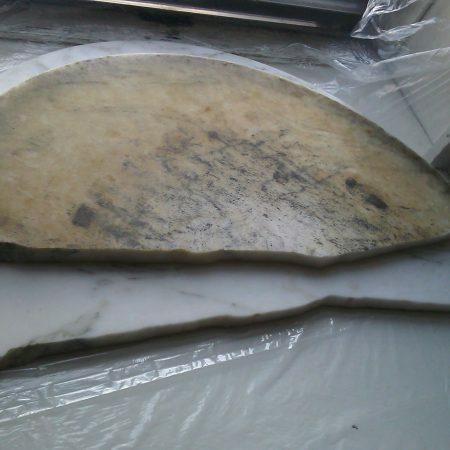 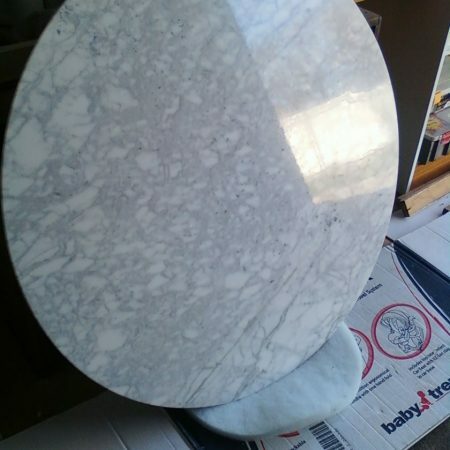 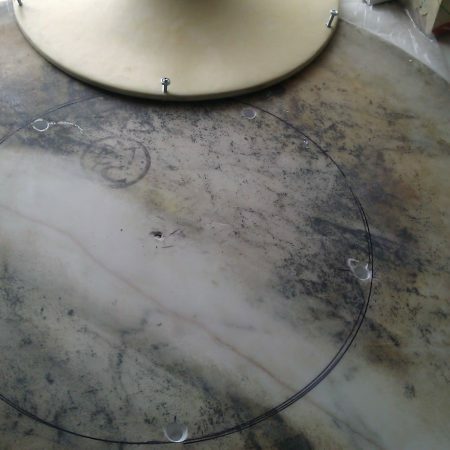 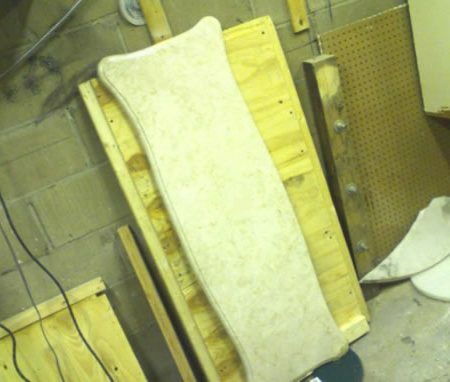 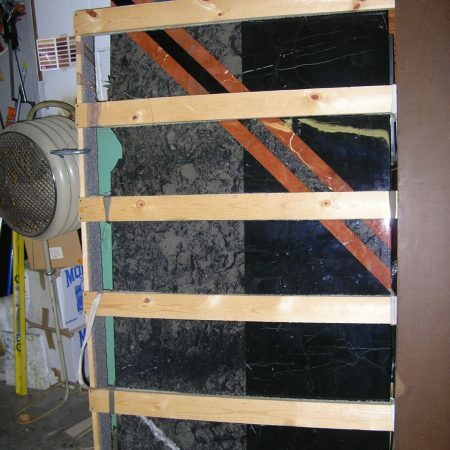 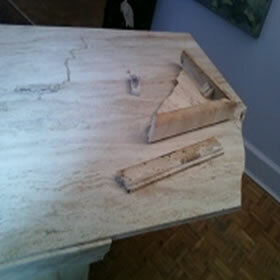 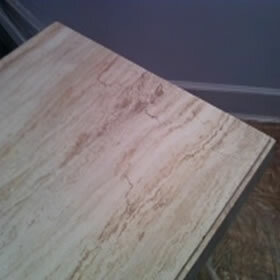 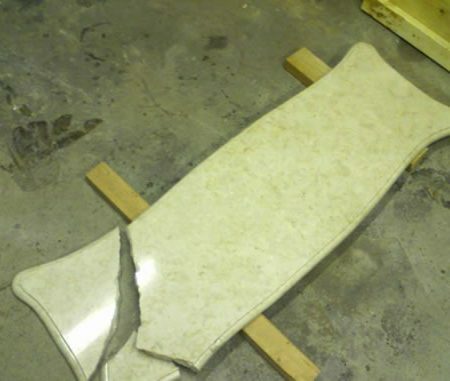 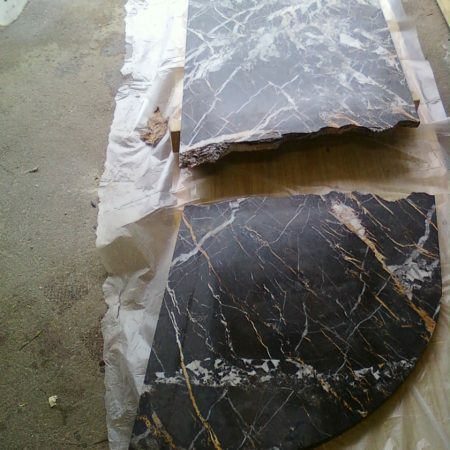 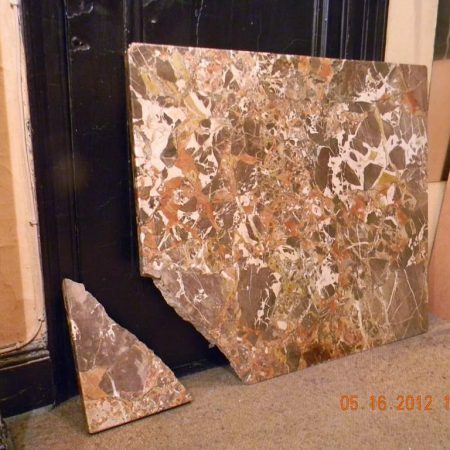 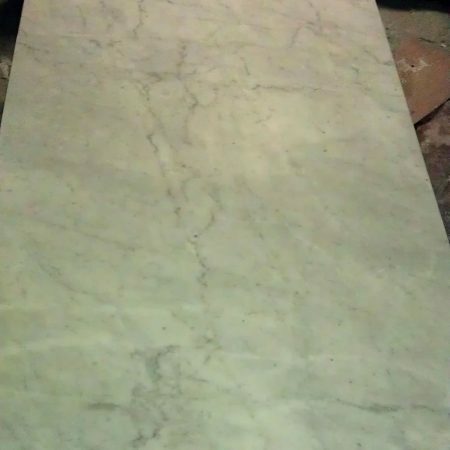 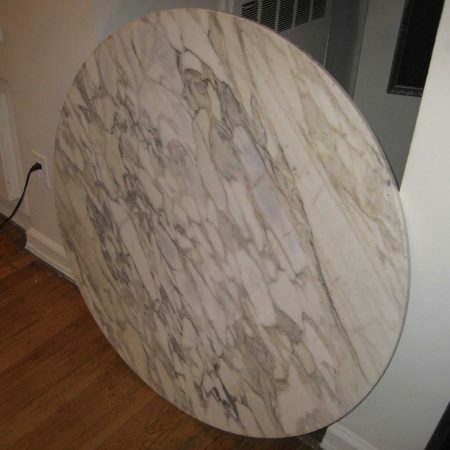 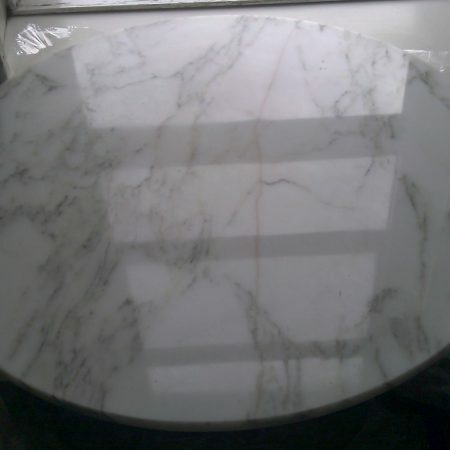 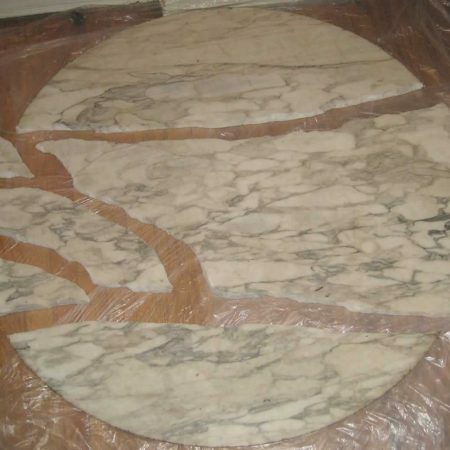 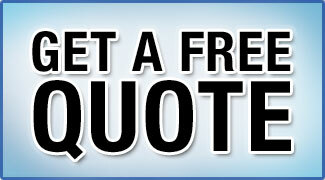 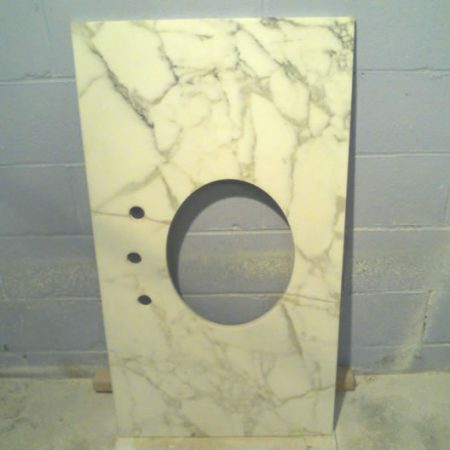 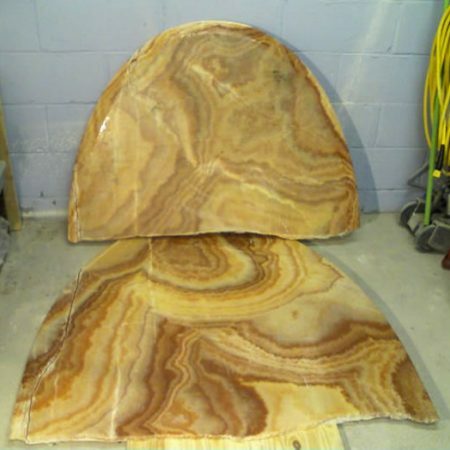 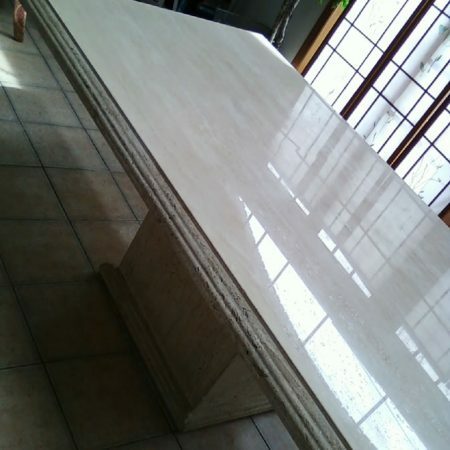 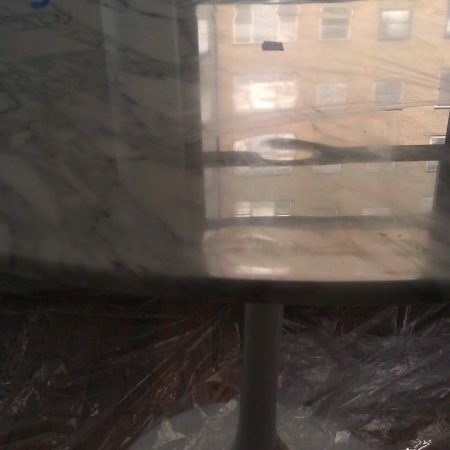 Marble Table Top Restoration is the Solution! 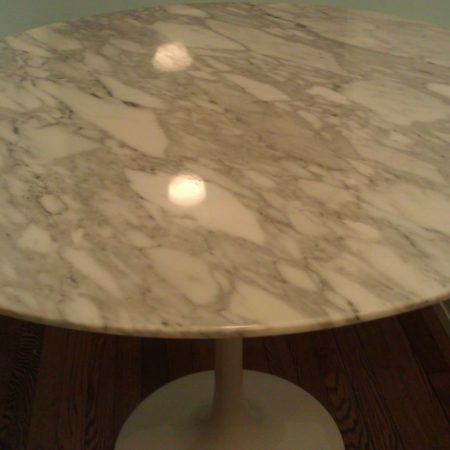 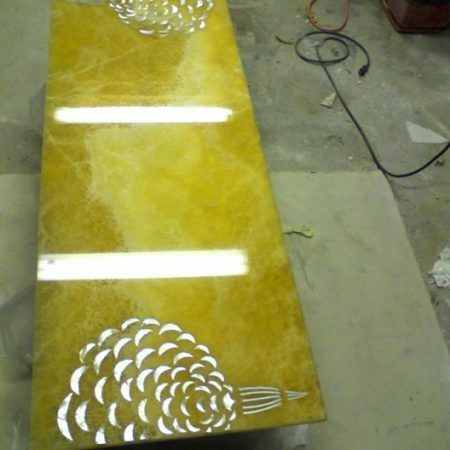 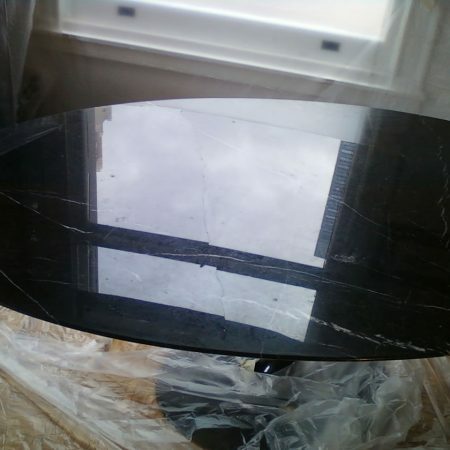 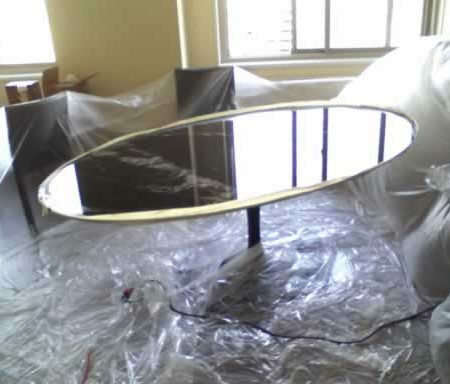 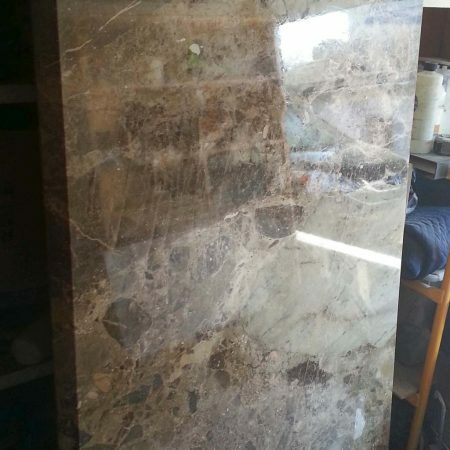 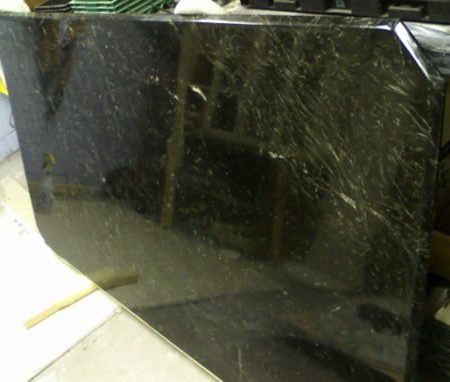 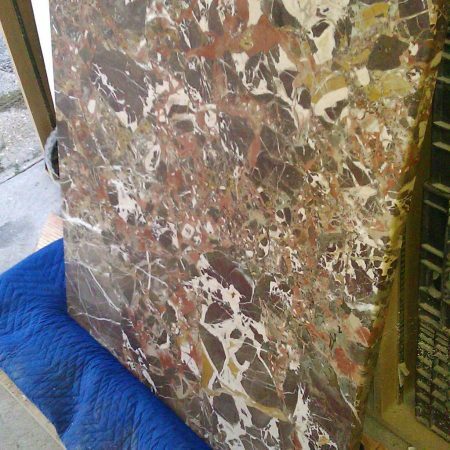 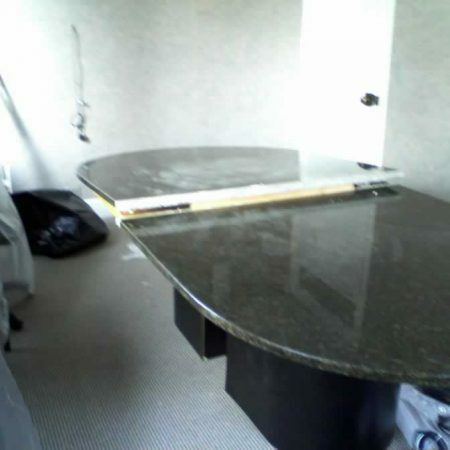 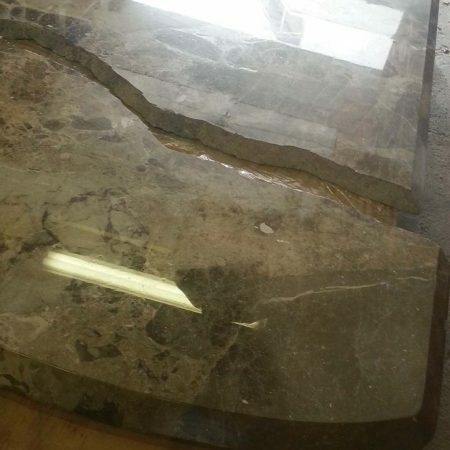 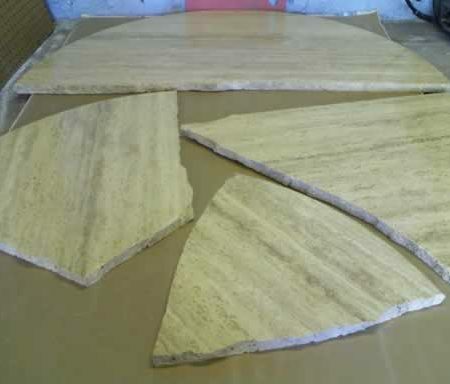 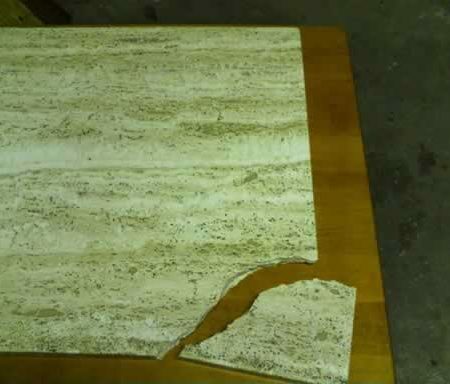 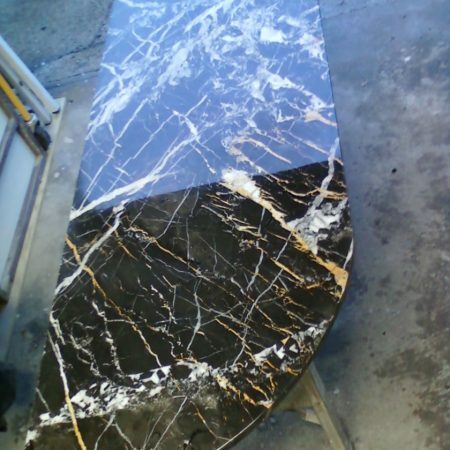 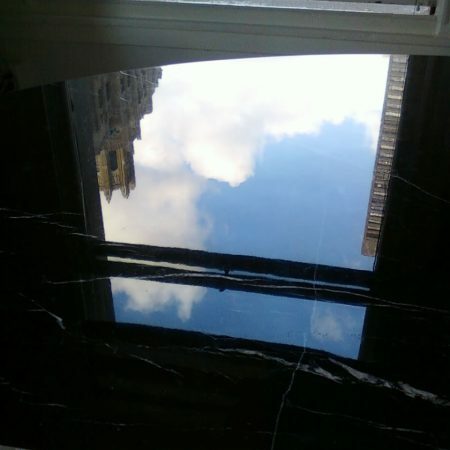 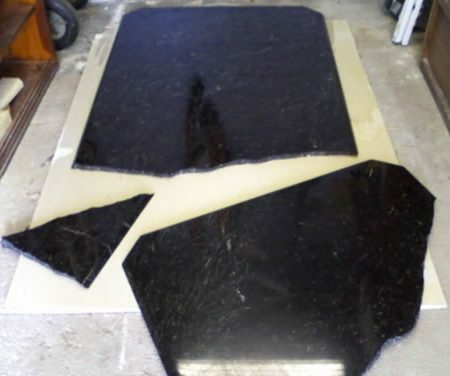 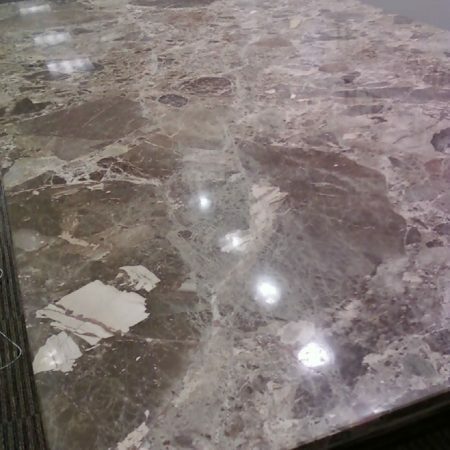 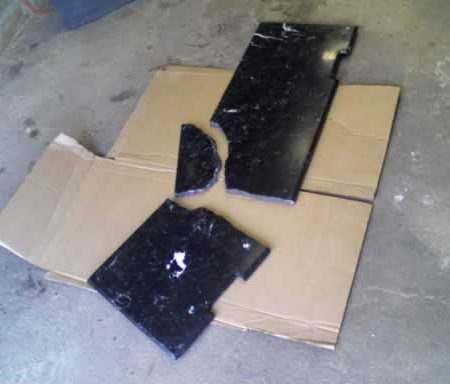 If you have a granite or marble table top that has chips, scratches, cracks, stains, dull spots we can repair most of them. 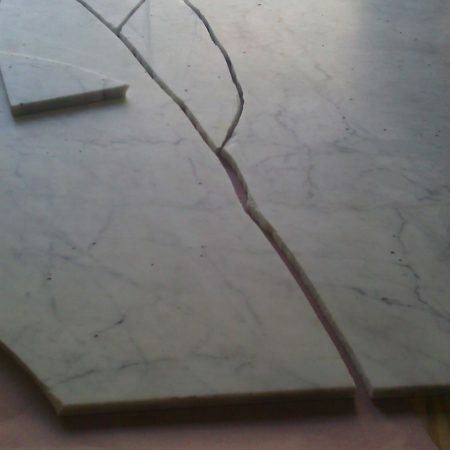 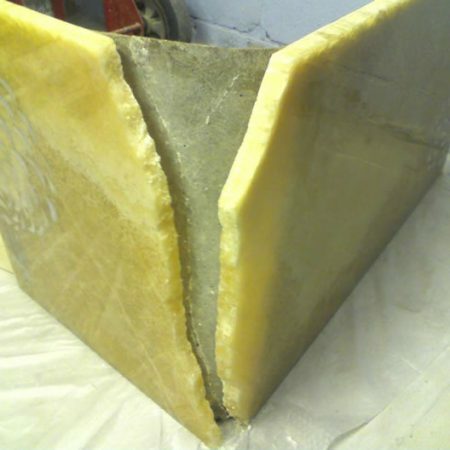 Cracks repairs are blended in to match the existing color and are generally undetectable to anyone who is unaware of the original crack location. 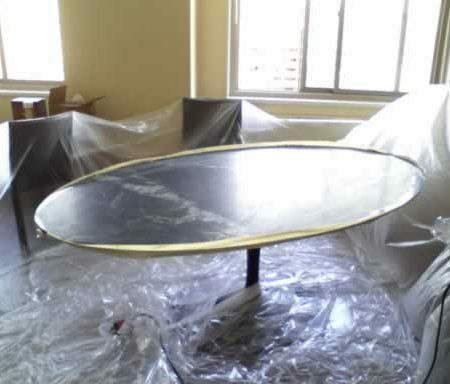 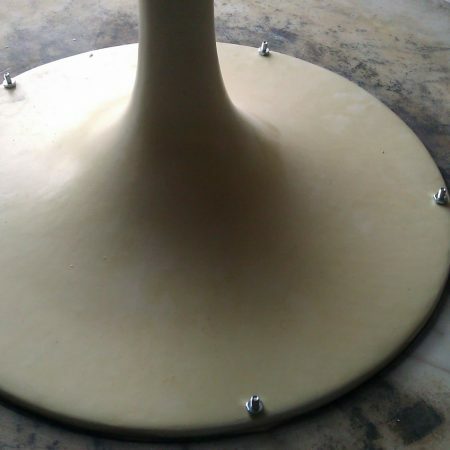 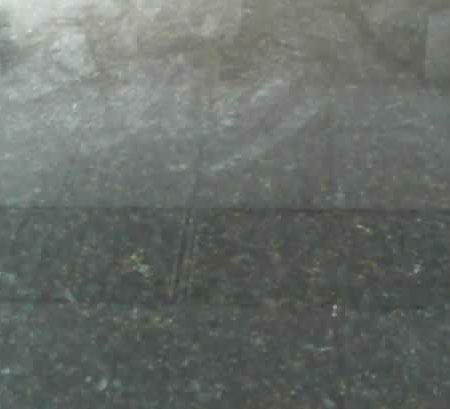 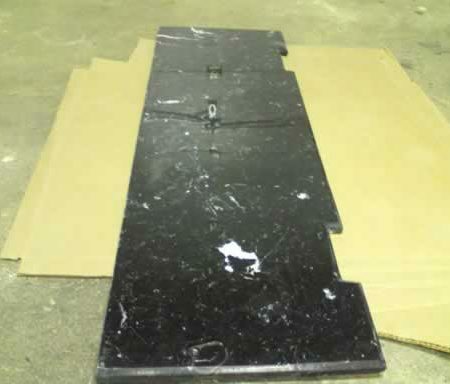 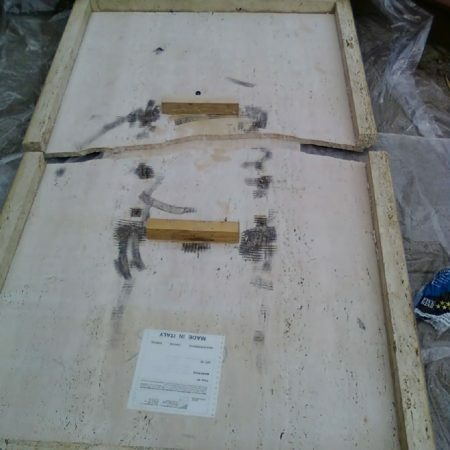 The table top was fixed on client’s premises without picking ups and delivering. 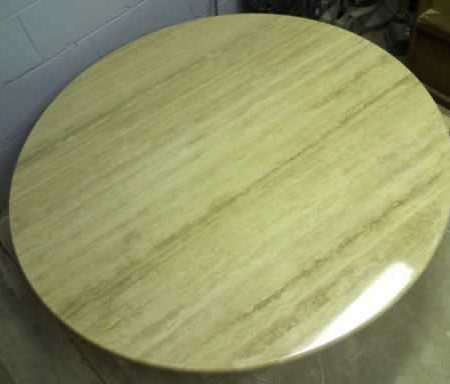 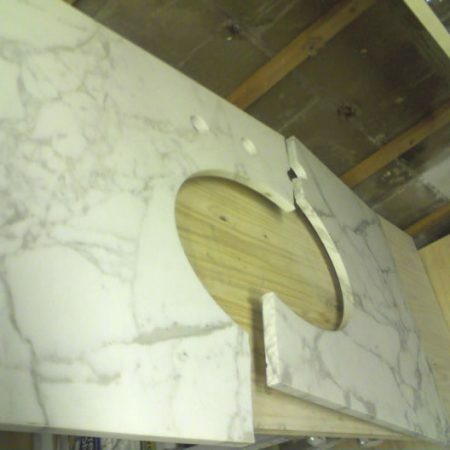 Honed calacatta gold vanity with oval sink. 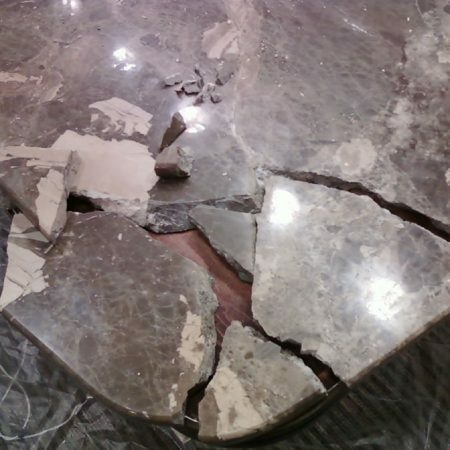 Before the crack repair. 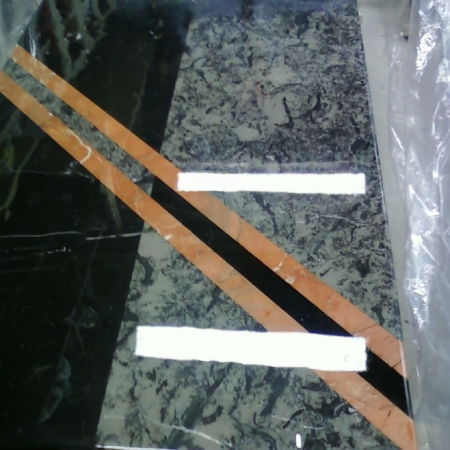 Black marble with white pattern and beveled edge. 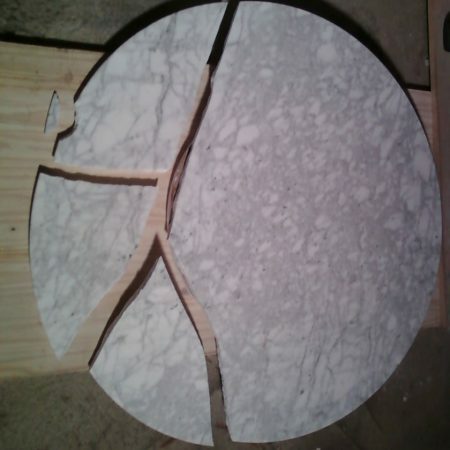 Broken onto 3 big chunks.